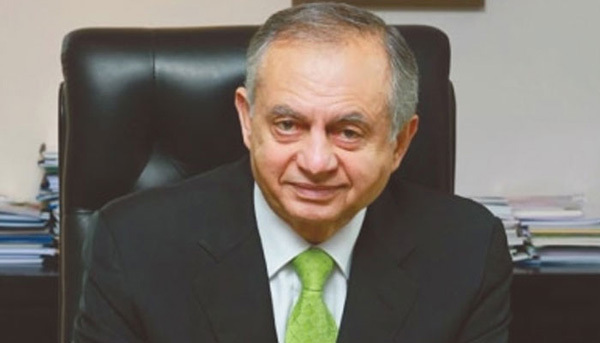 ISLAMABAD, Apr 2 (APP):Adviser to Prime Minister on Commerce, Textile, Industries and Production and Investment, Abdul Razak Dawood Tuesday said the government was focusing on export-led growth and increasing Foreign Direct Investment (FDI) in the country. “We are committed for stopping the de-industrialization and the upcoming industrial and textile policy would have positive impact on the industrial sector and its growth,” the adviser said, while addressing to Pre- budget consultations and launch of the book “Growth and Inequality in Pakistan “ organized by Sustainable Development Policy Institute (SDPI) and Friedrich –Ebert- Stiftung (FES) here. Talking about Sino- Pak Free Trade Agreement, he said that Pakistan was negotiating with China on FTA- II to remove imbalances on different tariff lines and get market excess on terms China has provided to Association of South East Asian Nation(ASIAN). He said that China and Pakistan were friendly countries and both side needed to benefit from bilateral trade and get access in both markets. While on Preferential Trade Agreement (PTA) with Indonesia, the adviser said that Indonesia has issued formal notification for correction of Indonesia-Pakistan Preferential Trade Agreement (PTA) by offering immediate market tariff free access for 20 products of Pakistan’s. Subsequently, three review meetings were held and Indonesia acknowledged concerns expressed by Ministry of Commerce regarding adverse effects of IP-PTA on Pakistan’s exports and finally agreed to unilaterally grant tariff free access to 20 Pakistani products.